This Summer's Runway Trends Lead Straight to Paradise! 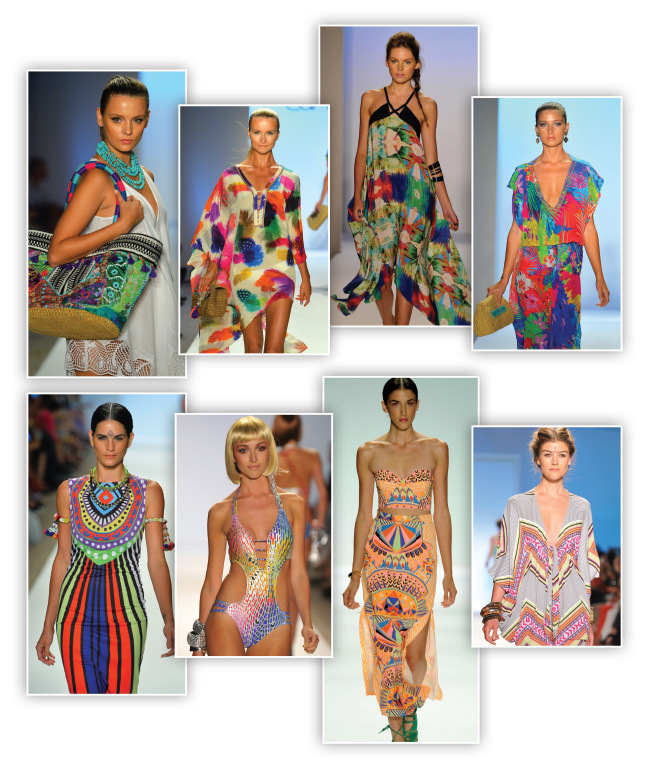 summer 2014 bursts onto the fashion scene with a paradise of bold, beautiful color. Brilliantly vibrant violets, blues and teals, complemented by rich reds and raspberries, were darlings of the fashion runways, as were vivid, candy-colored pastels. Designers offered an explosion of looks meant to bring the warm vibrations of this much-anticipated season to life. From breezy crop tops with full, flirty skirts, to maxi dresses in lush tribal prints, to flowy, boho silhouettes, and beaded, sparkly embellishments - the selections were all feminine, fun and ready to play. Nails, as always, are the accessory of choice this summer, with Gelish Colors of Paradise and Morgan Taylor Island Treasures capturing the tropical, pop-i-cal, paradise palette perfectly. Aquatic hues of turquoise, marine blue and soft blue; shimmery, beachy peach, brilliant coral and lime; and lush purples, magenta and vivid hot pink - these are the shades of summer for island girls (and city girls!) everywhere.